David Yu contributing writer to Evo magazine and Managing Editor of www.auto-journals.com posted up some information about his GT-R history, and links to longer length versions of stories he has had published in Evo Magazine. 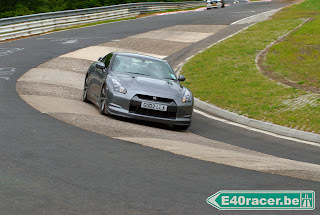 His R35 GT-R was one of the first delivered in the UK , April 9,2009. He also co-drove Jon Silvas 800 hp SSP powered R35 GT-R on the Gumball 3000 rally , and the writeup on that adventure will be up at the end of the month.